At Hillmans we are delighted to present this product available for flower delivery in Hereford and surrounding areas. 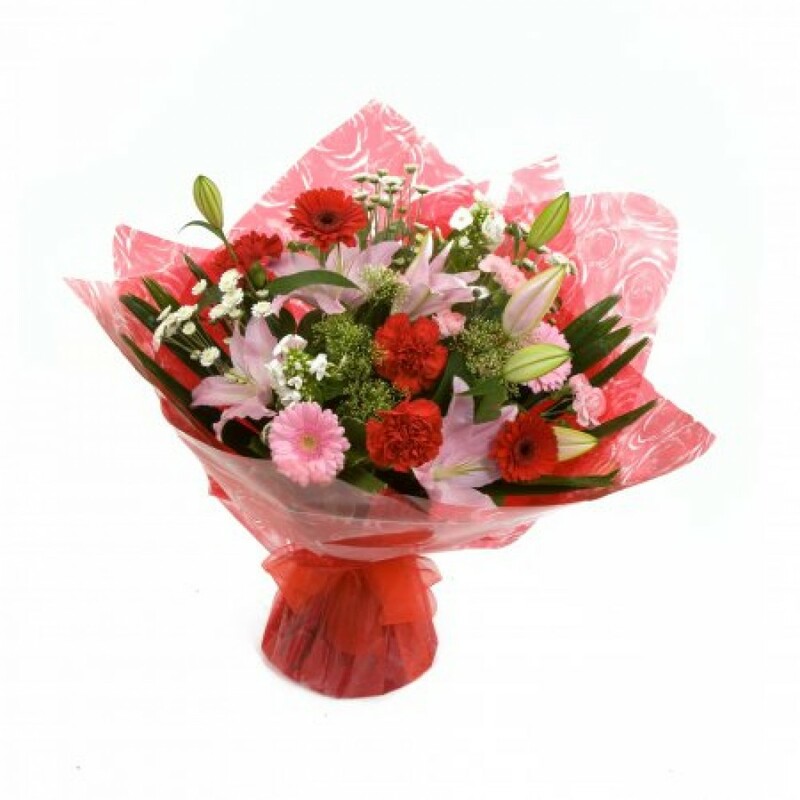 This bouquet suitable for many ocassions incorporating beautiful shades of red and pink including lilies gerbera and carnations makes a super choice for a loved one. It will be delivered in water supported in a display bow with suitable wrapping and ribbons. The bouquet shown is the deluxe choice.